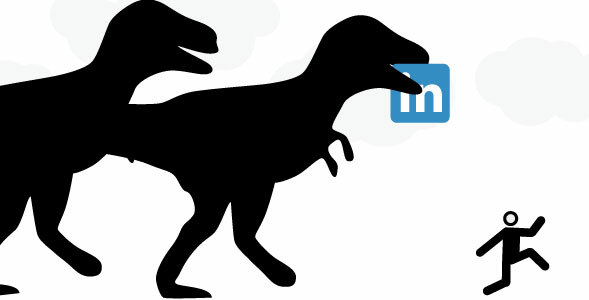 Yesterday I read possibly the best and worst article about LinkedIn. Here is the article that made me so happy and then half way through as frustrated as I ever get. So in today’s world where Content Marketing is king, and Inbound Marketing rules, what’s one to do but take to the keyboard and vent one’s disappointment? Well that’s only a part of it, as a marketing consultant and one that also provides LinkedIn training to clients, I know that I have to deliver some solutions to our valued clients, prospects and colleagues. In summary, the first half of the article promotes all of the amazing benefits that can be gained by correctly using LinkedIn. However the reasons given by the author as to the prospective “decline” of the medium are more of an indication to the author’s own lack of strategy to deal with the so called “information overload”. On the other hand, assuming that there is a slight possibility that the author’s predictions turn out to be correct and people begin to leave LinkedIn for greener social media pastures, this will actually mean that those that are left and are truly using this social medium correctly to their own advantage, will have an easier time of it! Here are the 9 problems mentioned in the article and my recommendations on how to best overcome them, after all problems are just challenges that have not been solved satisfactorily! How exactly does this pose a problem I am not sure! • Dinosaurs who use faxes and rely on their PA’s will as dinosaurs tend to do, die out. They are probably not the type of people YOU should be targeting or networking with anyway. • There is a way to control how often you get your Group Digest if at all! • Most importantly you need a strategy as well as discipline that will provide focus of what you should pay attention to and what to ignore. It is no different to managing your email, which by the way most of us could improve tenfold! • Again becoming more astute about what to read and how to do your ‘due diligence’ on the validity of content is something that I have no doubt will be a growing area of education for marketers, journalists, students and consumers in general! Welcome to the new world! • Take the online etiquette / law into your own hands and “flag” discussions as inappropriate and they will be removed! • As the author suggested ‘one’ solution himself, I don’t know why this was raised as a problem in the first place. My feeling is that “negative controversial headlines like “LinkedIn is becoming LinkedOut” was an exercise in PR and why not! It was successful! • The news feed is clogged up with 95% of jargon, irrelevant rants, promotional messages, rehashed articles, and recruiters posting the same jobs day in day out! • Again I see no problem but a massive opportunity for those that have something to say that is worthwhile and can deliver their opinion in an engaging way! By being original and adding value to your network it will be easier to stand out in the “sea of sameness”! • You can also remove the offenders – that is dis-connect from them! and if you want to stay connected but don’t want to see their updates on your home page, you can click Hide when you move your cursor over the update. Problem 6: User profiles BEWARE! • “There’s an ex-employee who has a warrant outstanding for his arrest and yet he has a glowing profile”. • Genuine people remain without a competitive advantage. The liars look just as good. • Actually quiet to the contrary I have read somewhere, I’m sure that someone in the recruitment industry who is a true professional will find this, that people in general tend to NOT “fib” on their LinkedIn profile as they would on their resume! After all the chance of “getting found out is a lot higher on social media”. Just a few weeks ago I met someone who was silly enough to make themselves out to be so much more important than they were! When I examined their LinkedIn profile I realised that they straight out lied about their level of seniority at a major corporate entity! • Additionally the ability to see who this person in question has a ‘connection in common’ with me, allowed me to get feedback about them that I would have otherwise never received as I wouldn’t have even known who we have in common in the first place! 1) I refuse to give recommendations to people who’s work I have not experienced or am not sure about. 2) If I really have to recommend them I will never recommend their technical skills but talk about attitude and make the recommendation very general – nice guy! Like I said read between the lines! Good recruiters do! • Finally, “genuine people”, by which I hope the author means people who have the best skills, will always have a competitive advantage if they firstly know themselves well enough to know what makes them unique (Branding 101) and can then eloquently communicate their point of difference! “Genuine people” who are talented, hard working and positive will always have more Recommendations than those trying to cover up with “smoke and mirrors”. An incompetent idiot is unlikely to get 20+ people recommending them! Keep in mind that Recommendations are like Testimonials, no-one ever puts a bad one on their website, however we all know that Testimonials still work and it is better to have more than less, when it comes to building credibility! • People don’t help random people just because you’re a LinkedIn connection. • Yes they do!!! And if you want to know why, please connect to me! I know, blatant self promotion, but as all good content marketers know I needed an “in text call to action”! • Ok, although I was serious, when I said connect to me, I will give away some more free advice! make sure that when you connect to someone you can actually become memorable by adding value to them right there and then! I have done it 3 times this week. Yes it can be labour intensive, but ask yourself why you are here on LinkedIn – to connect or network and networking is all about building relationships. • Here’s a major clue about what I mean; make sure you ask for and accept introductions in a way that will add value and leave a positive perception with your new connection! • It’s simply too easy to connect and this damages the value for everyone. 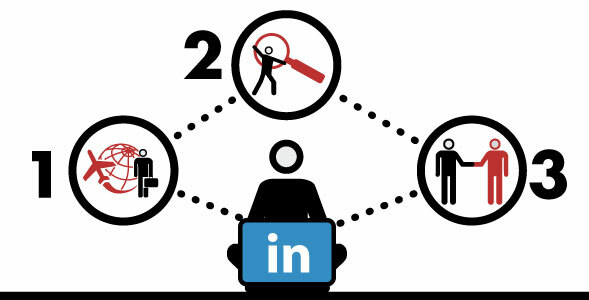 • LinkedIn should cap the number of connections and charge to connect. All of a sudden, users would think twice before connecting. • Being on LinkedIn was more of an advantage a few years ago than now! • We should all know that technology in today’s day and age is unlikely to provide you with a sustainable competitive advantage. Relationships with customers and prospects will! • Technology will not make you a better listener or problem solver. • Technology will not assist you in communicating with prospects so as to change what they think and feel about you and your organisation! That’s up to you and your marketing consultant, unfortunately if you can not afford one, one will not be appointed to you, although I am sure that most marketing consultants would love this idea in our common battle to eradicate bad business communication! • There are so many problems (let’s be positive, I should say opportunities) most recruiters face when it comes to developing their brand and marketing in general, let alone using LinkedIn in a way that is optimal, I don’t even know where to start, but here is a link to a very detailed blog I wrote on the topic. Un-enterprising and all of them can benefit from LinkedIn, even the un-enterprising! It’s the often overlooked social media channel of LinkedIn! Whilst it is Facebook and Twitter that get all the media attention, it is LinkedIn that leads with results. Hubspot research shows LinkedIn being the equal leading Customer Acquisition Channel together with Company Blogs and the definitive leader in the B2B segment. – Rebecca Corliss is marketing manager and leader of the social media marketing team at Hubspot. I used to refer to LinkedIn as “Facebook for Business”, but how wrong I was! 3. LinkedIn helps maintain personal relationships and build new ones. 5. It can link all your Online Marketing Assets and essential Social Media Tools, e.g: Website, Blog, Slideshare (now incorporating Video), Twitter and Facebook. Improve your Personal Productivity with all of the different LinkedIn tools, Widgets, and Apps. Research trends and industries, gather opinions by running pols as well as track company news. Finally and most importantly, LinkedIn can provide you with the perfect and simple platform for a Referral System! Referrals are critical to success in business. Please note that there is a large and important difference between Word of Mouth Advertising and a Referral System. Word of Mouth or ‘going viral’, usually happens by chance. We as marketers try as we might do not have control over a video or a game going viral, and more fail than succeed! And you need to Recognise and Reward those that place their trust in you and refer to you! LinkedIn or any other technology or media channel for that matter will not help you Stand Out and Be Noticed! 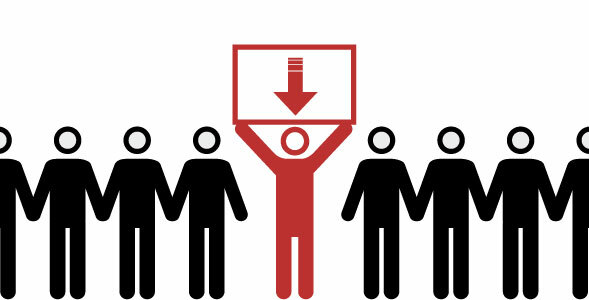 To learn about our LinkedIn courses check out http://www.qubepartners.com/promotion-media/social-media/linkedin. Get LinkedIn or become LockedOut! 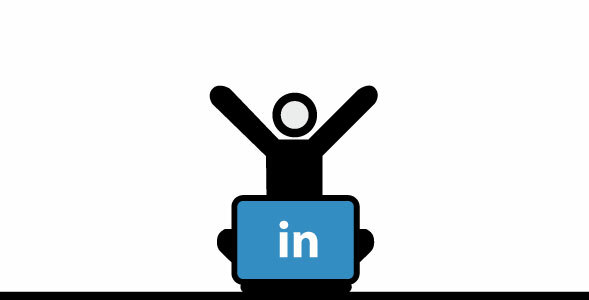 Linked In: It is not how big it is but how you use it! Should you aim to get as many connections as possible? Is Linked In suitable for B2C Marketing or only B2B? Doesn’t the question of how you should connect and with whom all depend on your product or service offering? Although I see merit in both arguments, I am partial to side with Jen Bishop. Obviously by definition, Linked In is more suitable to B2B, however “all of us” are consumers and now there are 80+ million on there who are a marketer’s dream demographic! Which raises the question of reward v effort and ROI of targeted ads in this medium versus building your personal network…but that’s a whole other debate. I digress…the point being he is selling “educational product”, CD’s, Pod/Video Casts, PDF’s etc…The more connections he has the better for his business! In that respect he is doing a great job – satisfying customer demand and making a profit without doing anything wrong! SO LET”S ALL BE CLEAR ABOUT OBJECTIVES – HORSES FOR COURSES! We should not make sweeping statements but instead spend a little time working on our strategy, value proposition and then worry about evaluating the media channel, it’s advantages and limitations and the process with which you will maintain DIALOGUE in your chosen channel. Success on Linked In and in fact in all Social Media channels, to be specific VIA NETWORKING & WORD OF MOUTH, NOT ADVERTISING, relies on the principle of leveraging and building your reputation with your existing professional (and personal) connections as well as building new connections that will also hold you in high regard. Now how you will do that is the big challenge and not one of technology but strategy! What will you offer them to make their lives/jobs easy and what do you need to do to attract people to your profile in the first pace? 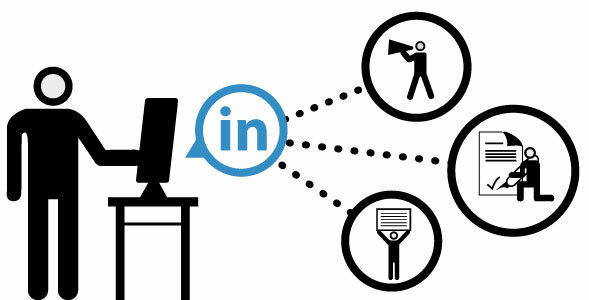 Many Linked In users damage their reputations because they forget the simple rules of engagement when it comes to interacting with their existing and prospective audience online. I received two Linked In invitations in as many weeks, from individuals that indicated they were friends and gave no specific reason as to why they wanted to connect with me and used standard “templated” invites. In fact, having searched my electronic databases as well as my “super computer” called the human brain; I could not remember how or where I MAY have met these two people. These two invites were great examples of what not to do on Linked In. This doesn’t mean that these individuals can’t add value to my network or I to theirs. It does mean that I will wait to accept their invitation until such time that they can illustrate the value in connecting with them, and either choose to be more honest or learn how to better use the technology! Has the person inviting me illustrated a clear reason for doing so? Is this reason of value to me? – Are they a potential prospect or referrer for my business? – Am I a potential prospect for theirs? Is what they sell so unique (are they a real expert in their field) so as to interest me, even though they may not have given me an initially strong reason to connect. – Am I a potential referrer for their business? Finally, if the answers to most of those are negative, I will not connect with them, as they are likely to fill my inbox and those of my network with useless junk and be a time sucking vampire! Your CONNECTION policy maybe vastly different, BASED ON YOUR SPECIFIC OBJECTIVES, but the bottom line is you NEED to have one, and the only way to do so is to have a well thought through strategy.